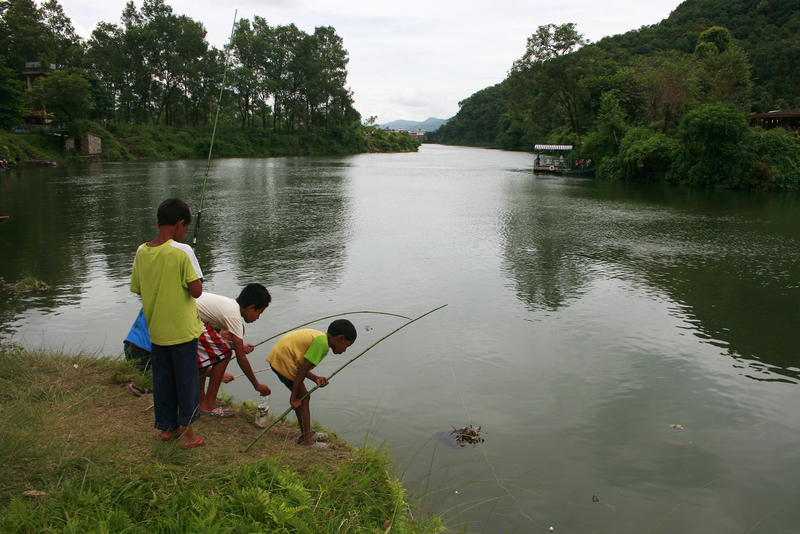 Local kids around the lake enjoy swimming and fishing in the banks of Fewa lake. Using the local hooks and bamboo shoots as the fishing rod, they manage to collect a couple of fishes. Although this might be fun on the holidays, kids spending time on school days should really be a concern. ( I took this shot on August 17, Tuesday).